Starting an online education in Healthcare Administration provides an opportunity to act as a leader in your community. At Central Christian College, you develop in-depth knowledge of healthcare systems in the United States to provide positive leadership in a medical facility. A key part of acting as a leader in a medical facility is learning how to volunteer and working out a system to build a relationship with your local community. The benefits of volunteering depend on your situation and goals. Working in a volunteer position builds up your confidence, gives you greater experience in different situations and gives back to your community. As a professional working in a medical facility, you have unique skills to help others in your community. 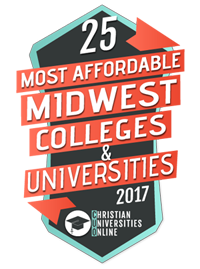 During your education at Central Christian College, you learn professionalism, ethics and leadership as it applies to a medical facility. You can then use those skills to build up your community through volunteer programs. A key part of learning how to volunteer as a healthcare administrator is developing your leadership skills. During an online education, you learn about strategic planning and the management of other professionals. You may take on the role of a leader over time as you gain experience and apply the theories you learn in the educational program. The importance of volunteering falls into two main categories: the impact on your community and the impact on you or the organization. As a healthcare administrator, you work with a medical organization. By working with the facility to volunteer in your community, you build up trust and develop your skills as a leader. It also allows you to make a difference in the lives of others. After developing the initial leadership skills you need for your career path through an online education at Central Christian College, you have the foundation to apply the skills in your community. Set up community programs to educate young individuals about healthy meal planning, exercise programs or other ways to avoid health concerns. Alternatively, arrange educational services in after-school programs or volunteer in a mentorship program and encourage others in the medical facility to get involved. Healthcare administration provides a positive advantage when working with your community. It allows you to apply useful business skills and management skills in a wide array of areas. Use your leadership skills to build up your community and improve the services available at your medical facility through an understanding of the health risks in your local area. The final aspect of getting involved as a volunteer in your community is building positive community relationships. Your degree in Healthcare Administration gives you the foundation to build up a positive relationship with your community by encouraging medical professionals to get involved through organizational volunteer programs. Focus on getting involved with different groups, such as children in school or older adults in group activities. Set up educational programs or volunteer to help with their projects. Find out what the members of your community want or need for their health and well-being. Use the information to improve your volunteer and professional services. Healthcare administrators learn several skills that apply to volunteering, but you must start with learning about your community and then focusing on the needs of the individuals in your community. By focusing on specific needs, you address a problem and build up trust with your community.